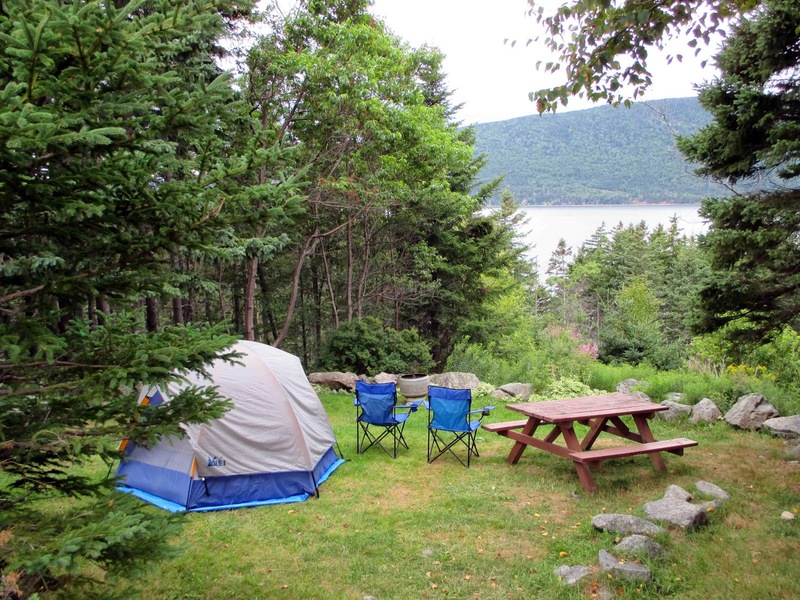 Our campsite (The Look Off) at the Englishtown Ridge Campground in Nova Scotia. For those of you who had thought we had simply disappeared in the doldroms of life ashore, bogged down with the routine of running to hardware stores and making and checking lists of "to dos" or being now occupied with the latest drama of some new celebrity, rest assured we are alive and well and still in full control of our senses. 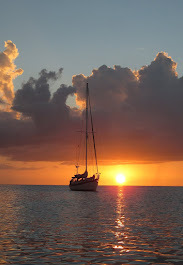 We departed from the heat and humidity of mid-summer in North Carolina for the cool of traveling and camping throughout the Canadian Maritime Providences - New Brunswick, Prince Edward Island, and Nova Scotia - Just the sound of their names cooled us. We are traveling not by our boat Layla, but by vehicle, our 20 year old Ford pickup. 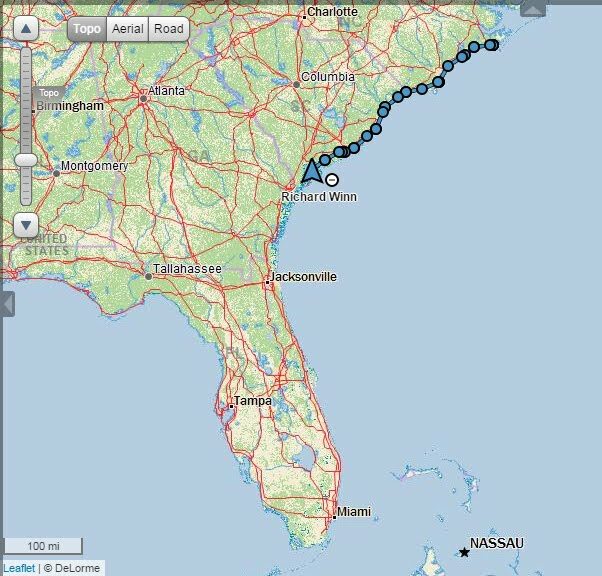 Our plan is to trace a route along the Atlantic coast where the Native Americans, the early European settlers, fisherman, and farmers met the challenges of life in this region. 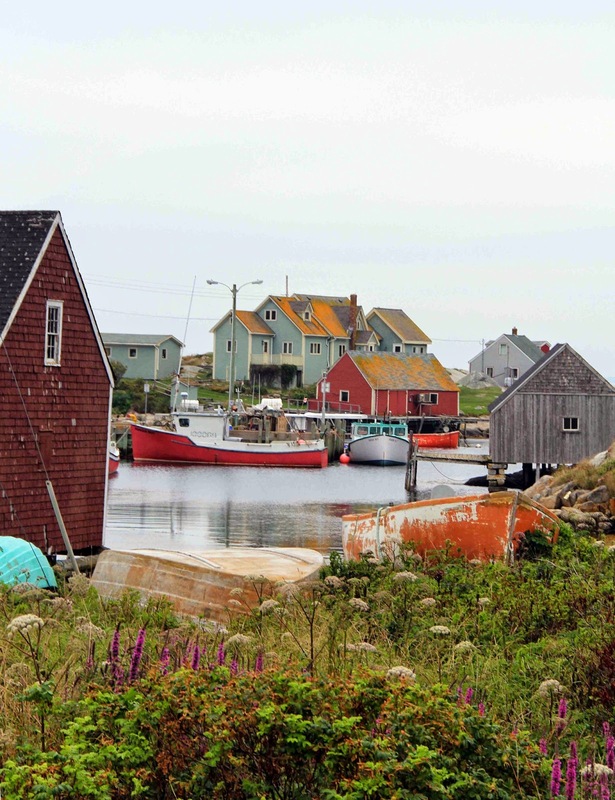 The Maritime Provinces have a history of hardship, despair, disaster, and triumph. We were eager to learn more about the region - the struggles of the indigenous people with the invading foreigners, and the feuds among the French, English, Irish, Scots and other immigrants themselves. This was also a pilgrimage for us to the home of Joshua Slocum, the first sailor to circumnavigate solo. And this was an opportunity to reconnect with nature and find solitude. 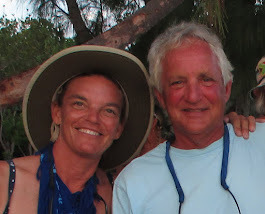 While we doubted we would travel this way by boat any time soon, we thought we would escape the dog days of summer and the countless old house and boat tasks for a while. We had earned a break. Peggy's Cove, Nova Scotia. One of the many picturesque fishing villages along the southern coast. The Maritime Provinces are lobster territory. 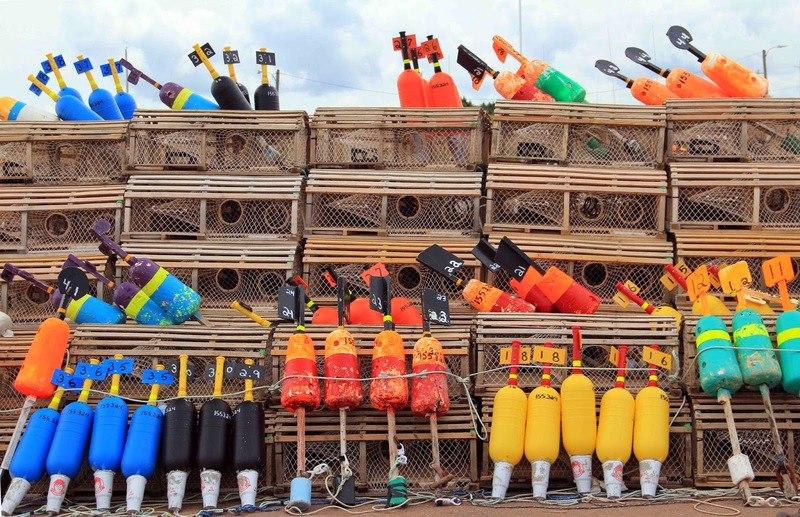 These lobster traps on Prince Edward Island are waiting for the next season. We are currently in Englishtown, Nova Scotia, on our way to the “Highlands” of the Cabot Trail. We will update more in future posts.